The call for proposals for the Digitizing Canadian Collections funding call is now over. Many thanks to all who submitted applications. Recipients will be announced in the fall of 2018. You may also be interested in Library and Archives Canada’s Documentary Heritage Communities Program. What is the purpose of this funding call? This call will provide funds to organizations to digitize, make accessible and preserve analogue documentary heritage material of national significance. What is the limit of funding available? How much money is available for distribution? The maximum level of funding available per project is $100,000. The total amount of funding available for distribution is $1M. Where did the money for this funding call come from? The NHDS received a private gift of $1M to support the digitization of Canadian collections. The following organizations are invited to apply. For more information about eligibility, please see the guidelines. Federal government institutions are not eligible to apply for funding. Focus on digitizing analogue documentary heritage collections of national significance, while also addressing access and the preservation of the digitized objects. Include content by or about Canadians. Follow digitization, preservation and metadata best practices. Agree to place metadata in the public domain and make the digitized objects publically accessible, within ethical, cultural and legal constraints. The deadline for submitting completed application packages is June 12, 2018, before 12:00 p.m. Pacific Time. The application platform will not accept proposals after this deadline. What is the review process? When will I know if my project has been accepted? Applications will be reviewed by an External Advisory Committee who will provide recommendations to the NHDS Steering Committee. The committee will recommend applicants to the Librarian and Archivist of Canada. NHDS officials will send official written notification of funding decisions in the fall of 2018. Can I apply for multi-year funding? Will there be another call for funding under the NHDS? This is a one-time funding call. There will be no multi-year funding arrangements. How will projects be assessed? Representative – Projects that reflect Canada’s ethno-cultural, geographic and/or linguistic diversity. Collaborative – Projects that use partnerships to maximize efficiency and knowledge sharing and to leverage existing infrastructure. Rigorous – Projects that are practical, cost-effective, and based on standards as well as widely accepted best practices. Open – Projects that commit to making content available to the public, within ethical, cultural and legal constraints. Impactful – Projects that have wide appeal, are unique, and/or are particularly relevant to a specific field of study. Sustainable – Projects that address the long-term digital preservation of material. If my project is accepted, how long will I have to complete it? Organizations must complete their project by August 31, 2019. The guidelines say projects must “follow digitization, preservation and metadata best practices.” What does this mean? The implementation of sound practices, such as standards, will ensure that the documentary heritage is available and sustainable. These standards should be used in conjunction with procedures for digitization, which include digitization specifications, file naming, metadata, and quality assurance. What role is Library and Archives Canada playing in delivering the funding call? Given Library and Archives Canada experience in delivering funding programs, it was chosen to administer the funding call on behalf of the NHDS. How is this funding call different from Library and Archives Canada’s Documentary Heritage Communities Program (DHCP)? The Documentary Heritage Communities Program has two goals: to increase access to, and awareness of, Canadian documentary heritage; and, to increase capacity at local documentary heritage institutions. 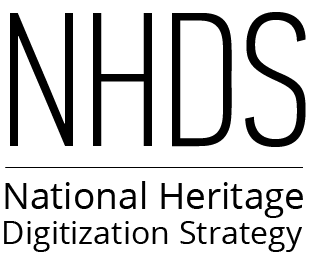 The NHDS funding call is concerned only with supporting digitization projects that concern collections of national significance. Can I still apply to the Documentary Heritage Communities Program if my proposal is not accepted by the NHDS? Yes. The Documentary Heritage Communities Program and the NHDS funding call are completely separate funding initiatives. Applying to the NHDS funding call does not prevent eligible organisations from also applying to the upcoming Documentary Heritage Communities Program 2019-2020 funding cycle. If my organization is ineligible, can I partner with an eligible organization? Yes, an ineligible organization can partner in a project submitted by an eligible organization. However, an ineligible organization cannot benefit financially from the contribution, nor can it be a co-applicant, named partner or third-party recipient. Do funded projects have to be presented in both official languages of Canada (English and French)? Funded projects do not need to be presented in both English and French. However, recipient organizations must publicly recognize, in both English and French, the NHDS’s financial assistance. I already created an account to apply for the Documentary Heritage Communities Program. Can I use it to apply to the NHDS funding call? Yes, you can use your existing account. Please make sure that your information is up to date when submitting your application to the NHDS. The NHDS secretariat can be reached at: bac.StrategieNumeri-DigiStrategy.lac@canada.ca.